The Home Buyers Plan (HBP) allows first-time home buyers to borrow from their RRSPs for a down payment. It allows first-time home buyers to borrow $25,000 from their RRSP tax-free. The only catch is that this $25,000 must be paid back over 15 years following the withdrawal. Don’t think of the HBP as free money; it’s more like a loan to yourself. Why Bother With The Home Buyer’s Plan? Your RRSP is a resource that you should take advantage of when need be. Many of us have automatic contributions made to our RRSPs done on our behalf by our employers and that money is effectively locked in until retirement. It’s important to save of course, but not having access to all your funds can make purchasing a home difficult. Fortunately, the HBP allows you to access that locked-in money with no tax penalty. What Is The HBP Withdrawal Process Like? To make an HBP withdrawal, you must complete a T1036 form. You then bring this form to your RRSP administrator (most likely your bank) and they will take out your money so it’s not subject to RRSP withholding tax. Beginning in the year following your withdrawal, you must repay your RRSP 1/15 of what you took out every year. For example, if you withdrew $15,000, you must repay at least $1000 annually. To let the CRA know that you’ve made a repayment to your RRSP, you must fill out the CRA Schedule 7 form. 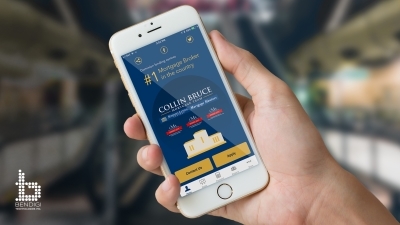 Collin Bruce is a mortgage broker/agent located in Edmonton Alberta. We match homebuyers with mortgages and mortgage insurance that fit their needs. If you’re looking to buy a home, get in touch, we’ll set you up right.